It’s a new year, all the holiday parties are over, and it’s back to the routine schedule of work and normal life again. Typically, with a new year comes the pondering of resolutions and what you can do to better yourself, your confidence, and your appearance for a better year than the last! This means you may think about cutting and coloring your hair, getting a facial, and maybe even waxing your legs. And while you probably don’t intend to neglect them, you may wonder about your eyebrows and what you should do with them? If they’re overgrown or not kept tidy, it can distort your facial expressions and face shape. Yeah, eyebrows actually are a big deal for your face! The right shape and color can result in younger looking eyebrows and a better circumference for your makeup (which can help to properly accentuate your beautiful, natural facial features too). Not only should you know how to change an eyebrow shape, you should know when to get your eyebrows done. Beauty treatments are best done in a specific order so that they not only yield the most benefits, but they also don’t adversely affect the beneficial results of prior treatments. To that end, waxing your eyebrows should usually come first if you are considering getting a spray tan. If you tan first, then when the wax is applied to your skin it will not only take off your hairs but also the top layer or two of the skin in and around your eyebrows. This means that the tan that has been sprayed on that skin will also come off, and you will suffer unfortunate tan lines. It’s also important to wait at least twenty-four hours after waxing your eyebrows before getting a spray tan, this way the tan is unlikely to irritate your freshly-waxed skin. If you are planning any air travel over the holidays, you should have your eyebrows waxed at least a day or two before you fly. Airplanes tend to cause dehydration, which can skin and lead to unattractive redness. 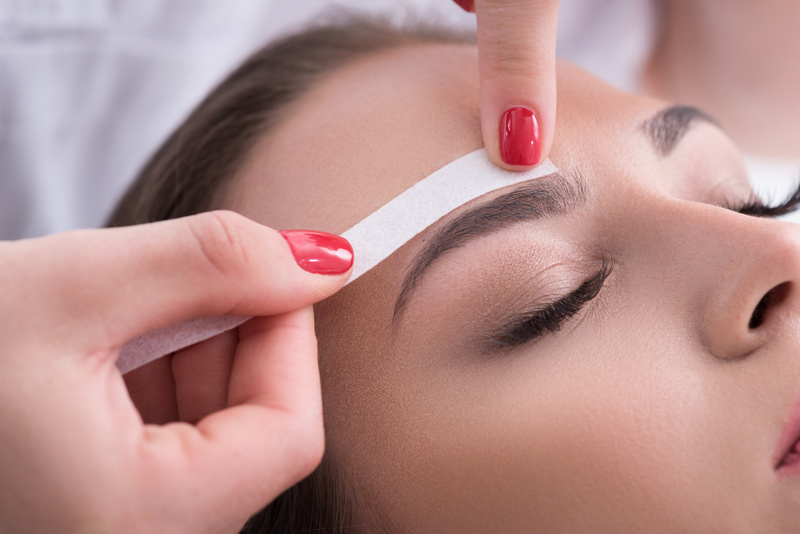 By waxing your eyebrows at least a day or two ahead of time, you will give your skin time to calm down and cool off so that you are less likely to exacerbate irritation. Eyebrow tinting should occur several days before any holiday get-togethers, as this will give excess dye the time it needs in order to fade a little and create a more natural look. As stated earlier, proper eyebrow shaping can help to create younger looking eyebrows and a sort of instant facelift which can help to create a more youthful face. Eyebrow shaping also has another big benefit: it can help makeup to go on much more smoothly. Many individuals who desire to achieve a stunning, finished look with their eyebrows may simply choose a specific shape because it appeals to them. However, a professional aesthetician considers an individual’s bone structure and face shape when shaping their eyebrows through waxing. This helps to ensure that their eyebrow shape complements their face. Careful trimming can help eyebrows to look more groomed and better retain their shape for longer. Keep in mind that individuals who are using acne medication or any sort of skin resurfacing products like glycolic acid or retinol should not use these products for anywhere between a few days to a full week prior to receiving waxing. Waxing while using these products can cause excessive skin removal which can result in scars and scabs. Individuals who are taking Acutane cannot receive waxing at all. However, this does not mean that one cannot still benefit from professional eyebrow shaping services–one simply needs to inform their aesthetician about their Acutane use so they can use alternate shaping methods–such as tweezing. Getting your eyebrows done is rightfully an important part of your beauty steps and for starting off the new year right, as they can help markedly in defining your face and highlighting the dimensions and naturally given beauty of your face! To learn more about eyebrow tinting, waxing, and shaping, contact Botanica Day Spa today at 727-441-1711!